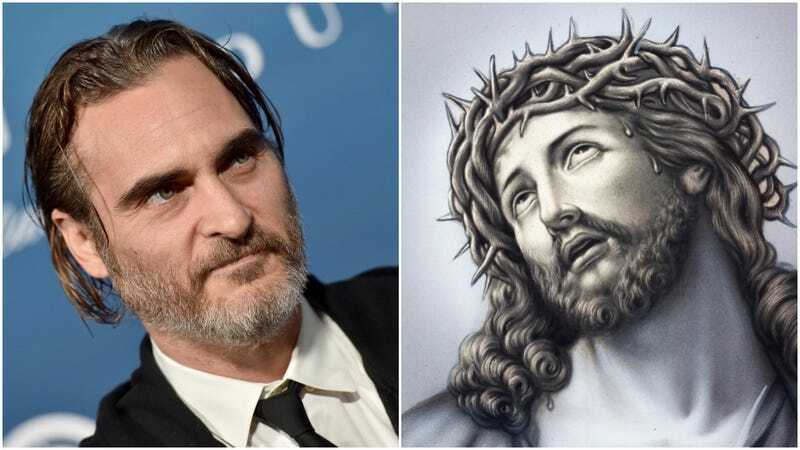 Oh, Jesus: It’s not just one of our favorite exclamations of existential despair; it’s also a handy reminder when you’re trying to remember all the parts that actor Joaquin Phoenix is currently on the hook to play. You’d be forgiven for forgetting that Phoenix had signed on to try his hand at the ol’ serene Nazarene, though, since he was scheduled to do so in the biblical drama Mary Magdalene, one of several movies to get put on hiatus when its parent organization, The Weinstein Company, went up in a puff of Consequences back in late 2017. But no more, lucky sinners: Per Deadline, the film—which stars Rooney Mara as the titular character and Christ confidant—has been picked up by IFC for U.S. distribution, arriving in theaters on April 12. Chiwetel Ejiofor also stars. Jesus, of course, is one of those “big” actor parts that just about every major Hollywood thespian tries on at some point or another, with folks like Willem Dafoe, Jim Caviezel, Ralph Fiennes, Liam Neeson, Christian Bale, John Legend, and more all having taken their shot at a turn with righteous beatificity. Admittedly, it kind of feels like Phoenix should have taken his shot at the role a couple of beards back—he could have really nailed this back around I’m Not There—but it’s like the Born Agains always say: When it comes to finding Jesus inside yourself, better late than never is usually the case.